There are 2 reviews for 'Djinn Caster'. Basically KRPG with better graphic. If you’ve played action KRPGs before — some famous ones like Zenonia — you won’t find anything new here. I played through the entire game, and I honestly found Zenonia better. But this game has better graphics and music. I’m not big into Action RPGs but this one is very well done and definitely worthy of your time. 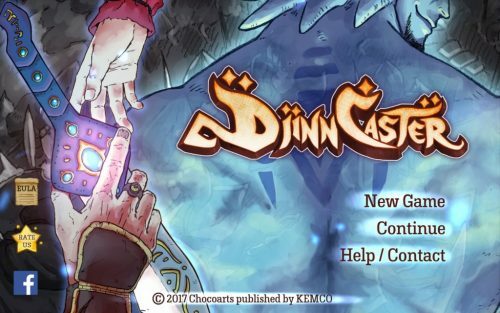 The game features an engaging storyline, and the various djinn that you obtain throughout the game offer a wide variety of attack and support skills, allowing for some good customization and a wide variety of strategies. I had to do a bit of grinding at the end of the game in order to afford the best armor, but otherwise it was pretty straightforward. Make sure you talk to every NPC that offers a side quest, as there are several djinn that you can only get from completing these quests!